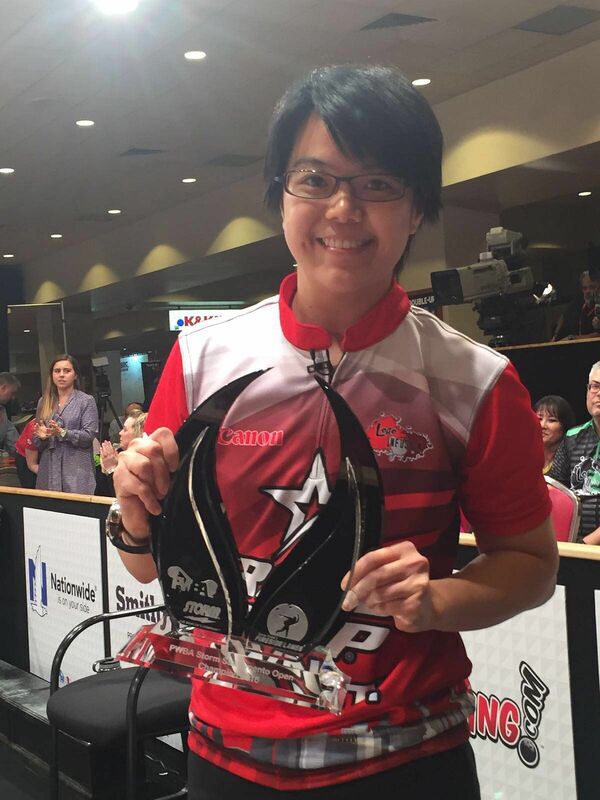 SINGAPORE - Enduring a long flight to the United States to compete in just one event bore fruit for national bowler Bernice Lim, when she defeated top seed Sandra Andersson of Sweden 248-223 in the title match to win the Professional Women's Bowling Association (PWBA) USBC Queens event in Las Vegas. She won US$20,000 (S$27,500) - and an apt tiara - for winning the final at The Orleans Bowling Center, which was broadcast live on CBS Sports in the United States on Thursday night (US time). Lim, 25, was the No. 2 seed while Andersson had gone undefeated in match play to earn the top seed. The Singaporean was one of eight from the Republic who had made it to the match play stage. She had to defeat No. 3 seed American Danielle McEwan for a place in the final. Team-mate Cherie Tan added another trophy to the team's haul, when she beat American Shannon Pluhowsky in a close 208-205 win in the Sacramento Open final. The 27-year-old Singaporean had gone into the event as the top seed, and will earn the US$10,000 champion's prize money. Her final, which was also taped in Las Vegas, will air on CBS Sports in the US on June 21. New Hui Fen, who had also made it into the stepladder finals, earned two second runner-up finishes in the Sonoma County Open and the Sacramento Open. The Sonoma County event will air on CBS Sports on June 14. Competing in a world-class field with some of the world's best women bowlers, Lim told The Straits Times in a phone interview from Las Vegas: "I actually did quite a bit of preparation the last few weeks so I felt quite prepared for this tournament. "I've been working on my game so I felt that that helped a lot this week. Basically, the mindset that I had this week was to make good shots and to focus on what I can control." Lim is set to compete in the Asian Bowling Championships and added that this win is a confidence booster ahead of the September event.